The OXO Tot Sippy Cup Set grows with your child from age 6 months and up. 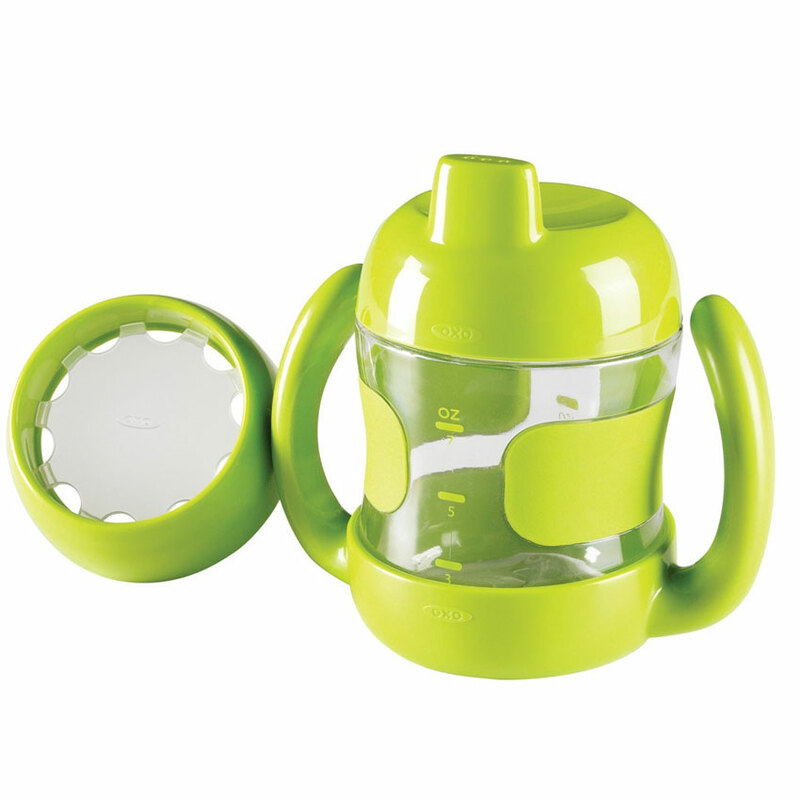 -The 7-ounce Sippy Cup with Handles is an ideal first Cup for babies transitioning from bottles. 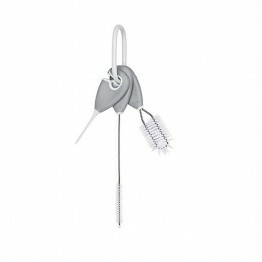 -Its leak-proof valve prevents spills and releases pressure for comfortable sipping. Soft, non-slip Handles are angled so babies don’t have to turn their wrists too far, and the Handles are removable for when baby’s grasp develops. -When baby is ready to transition from sippy to regular cup, remove the Sippy Cup lid and replace it with the OXO Tot Training Cup lid. -The Training Cup lid has a transparent insert with perforations around the perimeter to control the flow of liquid when the child tilts the Cup to drink. 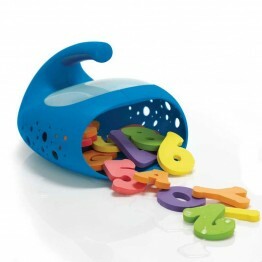 -A tipped Training Cup will also spill more gradually to minimize messes during the learning process. -When ready, remove the perforated insert and the Training Cup converts to a regular Cup. -All OXO Tot Sippy, Straw and Training Cup lids are interchangeable.